Autrans resort opening date will soon be available. 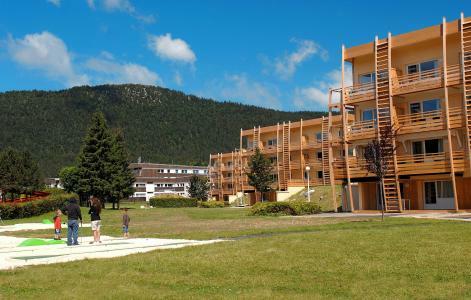 Autrans, Alps (at an altitude of 1050m) is a family friendly resort situated in a low mountain range, in the heart of the Parc Naturel du Vercors, Isère. It offers an authentic landscape: a large area, hilly spaces, pastures surrounded with forests of spruces and beeches and scattered hamlets. The highest mountain is at Charande, at an altitude of 1709m and on the crests of the Molière. Activities, in this welcoming valley, cater for families and sports enthusiasts: skate park, swimming pool, hiking, slackline... and many more! Book your accommodation in to Autrans resort, a few steps from your favourite activity.